There is something that I find so exciting about taking a pre-existing idea and changing it up to make it my own. 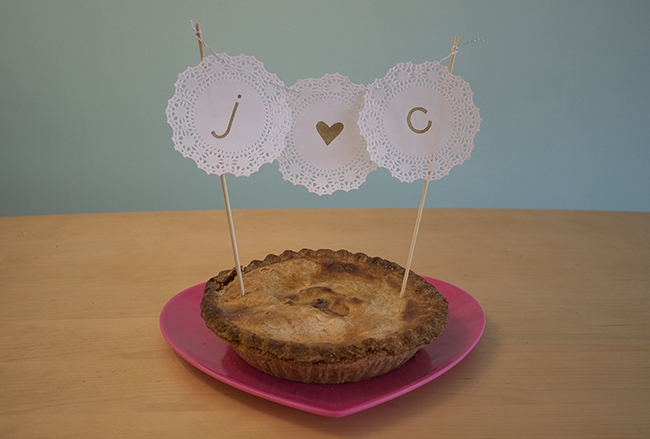 I love the trend of mini pennant banner cake toppers, but wanted to create a new version of them. 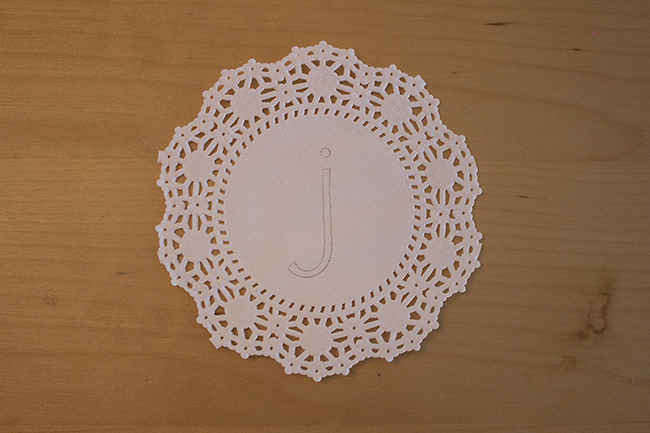 I have always adored doilies, and when saw these mini doilies in Michaels I knew they would be the perfect things to replace the pennants with. 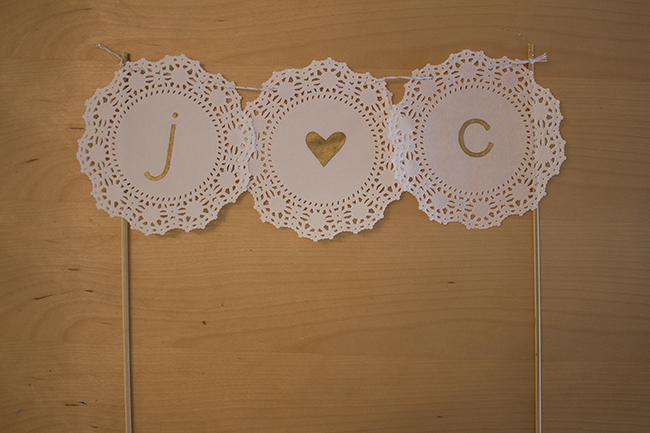 I decided to create a mini banner that could be used at a wedding, with the “J loves C” saying, but this idea is easily adaptable to birthday parties, baby showers, and more! Step 1: Place your stencil over the desired area of your lettering. 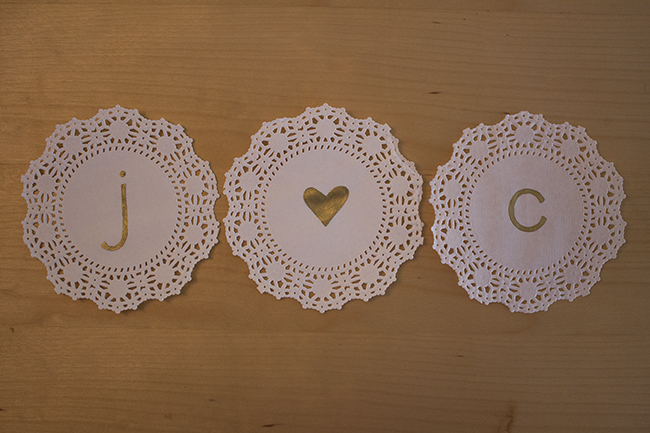 Step 2: Trace the stencil with your pencil, leaving a clear outline of your lettering. 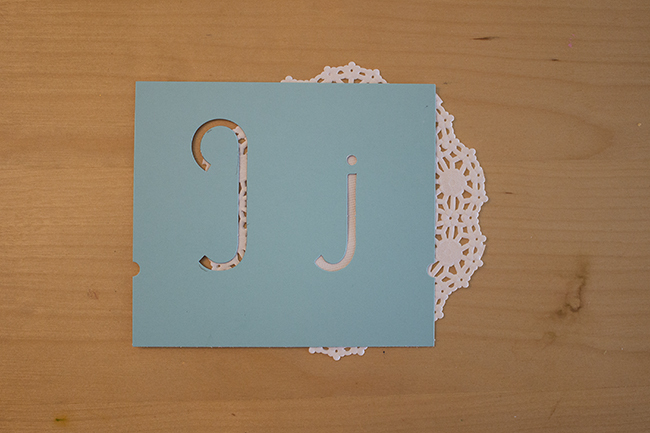 Step 3: Paint inside the outline of your stenciled lettering. 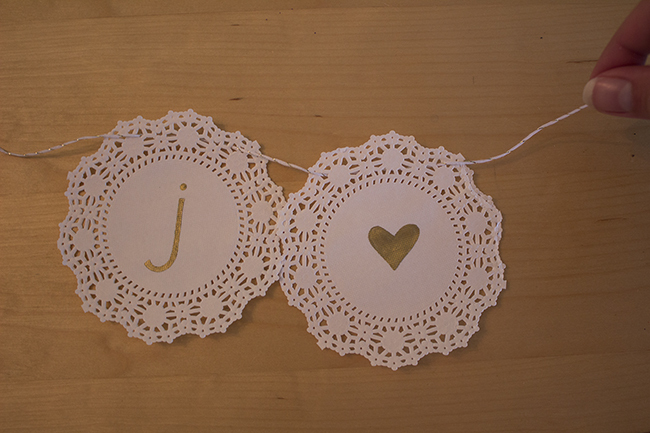 Step 4: Cut a string of twine at your desired length, and weave it through the top holes of your doilies. 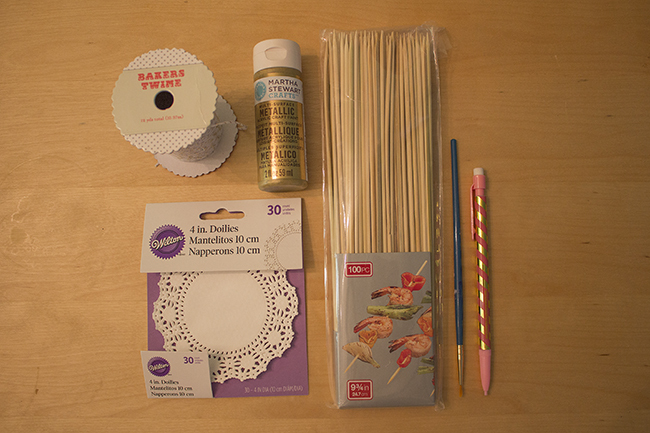 Step 5: Tie the twine of your banner around the top of the skewers in a double knot, and trim any excess edges. Step 6: Place the skewers in your preferred dessert (my personal favorite is apple pie, but a cake or even a donut tower would all be equally adorable), and enjoy! 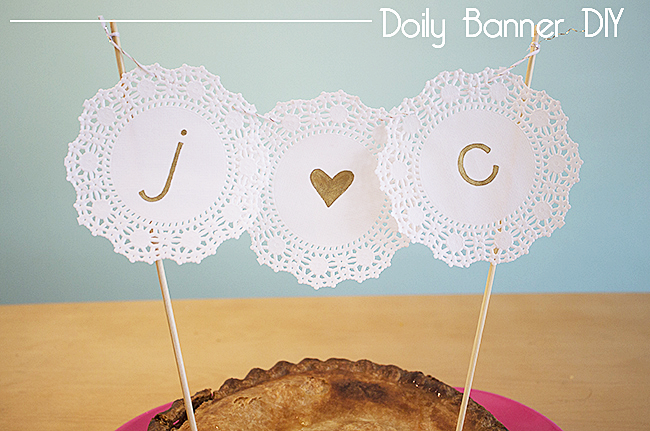 The post Doily Banner DIY appeared first on The Flair Exchange®.